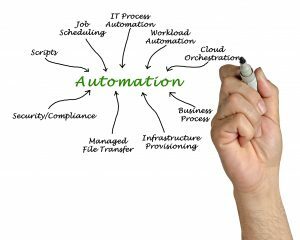 To keep up with the pace of infrastructure demands from DevOps and Agile teams, Automation and Orchestration must play a key role. Automating a function, task or alert reduces or eliminates human intervention. Orchestration simply means coordinating those automated functions, which ultimately leads to a faster, simplified process or workflow. We leverage a proven methodology to review a client’s environment to provide recommendations for what tasks can be automated; what processes can be orchestrated, and how the entire environment can be simplified to drive efficiencies. We leverage best in class tools and processes to achieve maximum results. The ultimate goal is to leverage a client’s existing technology investments and compliment them with incremental tools or processes. By doing so, we help an organization avoid a “rip and replace” method, which helps shorten the time frame to automate and orchestrate the environment. New process allowed the client to reduce the time it took to provision new instances of the custom application from four days to 40 mins, while reducing manual errors. Also allowed for a detailed audit trail of the entire process.